The incessant attacks by Fulani herdsmen on several communities have caused a lot of concern. If their activities are not nipped in the bud, they could degenerated into something worse than the Boko Haram insurgents. Below the some of the known attacks they have carried out. About 40 persons have so far been reportedly killed by some Fulani herdsmen at Nimbo in Uzo- Uwani Local Government Area of Enugu State. The incident took place barely 24 hours after stories filtered out that no fewer than 500 heavily-armed Fulani herdsmen sneaked into the community preparatory to launch an attack. About seven villages in Nimbo (Nimbo Ngwoko, Ugwuijoro, Ekwuru, Ebor, Enugu Nimbo, Umuome and Ugwuachara) were among the areas attacked. Ten residential houses and a church, Christ Holy Church International, aka Odozi Obodo, were also said to have been burnt by the herdsmen just as vehicles and motorcycles were destroed and domestic animals killed. Suspected Fulani herdsmen attacked a village in Agatu area of Benue State, killing no fewer than 50 persons. According to a survivor, Ada Ojechi, the latest attack, which took place at Odugbeho-Agatu, was one of the worst ever witnessed in the series of attacks by the herdsmen. 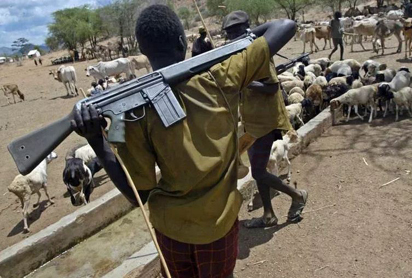 Suspected Fulani herdsmen attacked Dori and Mesuma villages in Gashaka Local Government Area of Taraba State, killing at least 15 people, police sources said. However, residents said more than 40 people were killed and several houses razed by the attackers. More than 22 persons were killed in December as Fulani herdsmen attacked Kwata in Jos South Local government area of Plateau State‎. The Fulani had written to warn the community of Kwata, Trade Centre, and Kuru that this Christmas season will not be an enjoyable one for the people of the community but the residents took the warning as a joke.One, the marauding Fulani lived up to their threat when they attacked about six houses in Kwata leaving not less than 14 dead bodies in their trail of violence and death.